We are in the midst of a significant intergenerational transfer of wealth, as trillions of dollars are being passed from aging parents to their baby-boomer children, creating numerous opportunities for advisors and clients alike. But there is a second significant movement of money that no one is talking about. That wealth won't go to the heirs but to the health care system. Many clients will likely require extended medical care, spending time in assisted living facilities or nursing homes, yet few have done the long-term care planning to prepare for this possibility. In fact, two-thirds of Americans age 40 and up have done little to no long-term care planning, according to a 2013 AP-NORC Center for Public Affairs Research poll. Granted, this is not a fun topic to think about or discuss. The possibility of prolonged illness is a difficult reality for your clients and their children to face—and the prospect of paying $50,000 to $150,000 per year for long-term care can be staggering. To help you approach this difficult topic more productively and successfully—and ultimately create a plan that protects your clients—I suggest taking two steps. First, put yourself in the right mindset before you speak with clients. Second, be sure you're well versed in the possible care solutions and the different benefits that they offer your clients. How would my clients feel if their plans to bequeath money to their loved ones were significantly altered by events that might have been foreseen? How would my clients feel about spending thousands of dollars per month, indefinitely, on uncovered health care expenses? As they grow older, would my clients be happy seeing their income diminished to pay for unexpected costs? Which of my clients' children will become my clients? The ones who watched their parents' financial plans derailed by long-term care expenses, or the ones whose parents were protected from such losses and lived in dignity, without the worries associated with failing health and finances? And here are the most telling questions of all: Would I want my own parents to have a long-term care policy? Or would I prefer that they didn't have a plan? I've never known someone to prefer the latter. 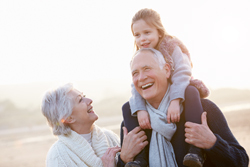 The most effective way to resolve everyone's worries—the parents', the children's, and your own—is to help every client put a long-term care plan in place. You have access to many long-term care strategies. There are traditional policies that require annual premiums, as well as linked-benefit policies that provide both long-term care coverage and a death benefit if long-term care is never needed. For your more premium-sensitive clients, there are cost-sharing options, which offer lower benefits but cover the difference between expenses and retirement income. Although some people won't qualify for long-term care insurance due to health problems, there is an appropriate solution for most clients. An income stream. By paying for covered expenses, a long-term care policy enables the client's retirement plan and legacy plan to play out as expected. In a family's time of turmoil and need, think of the difference a monthly check for, say, $6,000 or $10,000 might make. A choice of where to get care. Most people wish to stay in their homes. A long-term care policy gives clients the freedom to get care where they want, rather than making a nursing home the only option. "Concierge" services. A long-term care policy is priceless at the time of claim. Besides receiving several thousand dollars each month to cover the cost of care, clients get the services of a care coordinator, who helps them develop a plan of care, hire the right people as caregivers, assess the home for safety, and assist with care provider recommendations. Peace of mind. A long-term care policy removes the temptation to decrease care to protect an inheritance. In short, a long-term care plan looks out for clients' families and finances, both during their lifetimes and after they pass away. Your clients value their legacy plans and feel good about taking care of their loved ones and charities. A long-term care plan simply protects their wishes. Be sure to stay tuned here for more insight on long-term care planning, including what questions to ask your clients, planning for your female clients, and a look at whether some clients should self-insure. How do you deal with the challenges of long-term care planning in your practice? Do you have advice for other financial advisors creating long-term care plans? Share your thoughts below.